A problem occurred. Your email could not be sent. Please try again later. Please make a selection to print. CARFAX Advantage Dealers are committed to offering a CARFAX Report on every used car they sell. This vehicle's oil change history, as reported to CARFAX, follows the manufacturer's recommendation. This CARFAX Vehicle History Report is based only on information supplied to CARFAX and available as of 4/18/19 at 4:19:38 PM (CDT). Other information about this vehicle, including problems, may not have been reported to CARFAX. Use this report as one important tool, along with a vehicle inspection and test drive, to make a better decision about your next used car. An insurance or fleet company declares a vehicle a total loss when a claim exceeds approximately 75% of its pre-damage value or if the vehicle is stolen and not recovered. This damage threshold varies by company. These companies typically take possession and obtain the title. Not all total loss vehicles result in a DMV-reported branded title, like a Salvage or Junk title. See the glossary for more information. The vehicle sustained major damage due to hail. In most states, hail damage titles are issued when the cost of repairing the vehicle for safe operation exceeds its fair market value. A Salvage Title is issued on a vehicle damaged to the extent that the cost of repairing the vehicle exceeds approximately 75% of its pre-damage value. This damage threshold may vary by state. Some states treat Junk titles the same as Salvage but the majority use this title to indicate that a vehicle is not road worthy and cannot be titled again in that state. The following eleven States also use Salvage titles to identify stolen vehicles - AZ, FL, GA, IL, MD, MN, NJ, NM, NY, OK and OR. Occurs when the driver, passenger or side airbag has been used or deployed during a crash or other incident. If an airbag has been deployed, it must be replaced by a qualified technician. Have this car inspected by a mechanic prior to purchase. A Rebuilt/Reconstructed vehicle is a salvage vehicle that has been repaired and restored to operation. These vehicles are often severely damaged before they are rebuilt and refurbished parts are typically used during reconstruction. In most states, an inspection of the vehicle is required before the vehicle is allowed to return to the road. States issue flood titles when a vehicle has been in a flood or has received extensive water damage. The vehicle sustained major damage due to fire. In most states, fire damage titles are issued when the cost of repairing the vehicle for safe operation exceeds its fair market value. Most manufacturers offer a basic warranty for new vehicles. These warranties vary by manufacturer and typically last for a certain amount of time and/or a set number of miles. A DMV or a state agency marks an official document or issues a Manufacturer Buyback/Lemon title when a vehicle has been repurchased by the manufacturer. Not all states issue manufacturer buyback titles and the specific requirements for a lemon law vehicle varies by state. Various events could indicate an accident or damage in a vehicle's history, such as: salvage auction, fire damage, police-reported accident, crash test vehicle, damage disclosure, collision repair facility and automotive recycler records. See the glossary for more information. A vehicle with a 5-digit odometer cannot accurately track mileage after 99,999 miles because the odometer rolls over. This title is the result of a seller certifying under the Federal Odometer Act, that the odometer reading EXCEEDS MECHANICAL LIMITS of the odometer. All levels of accidents, from minor to severe, can cause structural damage to a vehicle (i.e., damage to the frame or unibody). When the seller certifies, under the Federal Odometer Act, that the odometer reading does not reflect the vehicle's actual mileage. This may occur because the odometer was tampered with, broken, or replaced. Automobile manufacturers issue recall notices to inform owners of car defects that have come to the manufacturer's attention. Recalls also suggest improvements that can be made to improve the safety of a particular vehicle. Most manufacturer recalls can be repaired at no cost to you. The vehicle sustained major damage to one or more major component parts and the cost of repairing the vehicle for safe operation exceeds its fair market value. When a Dismantled title is issued, the vehicle may be used only for parts or scrap metal. It cannot be re-titled or returned to the road. A Junk Title is issued on a vehicle damaged to the extent that the cost of repairing the vehicle exceeds approximately 75% of its pre-damage value. This damage threshold may vary by state. The majority of states use this title to indicate that a vehicle is not road worthy and cannot be titled again. Some states treat Junk titles the same as Salvage. Have Questions? Please visit our Help Center at www.carfax.com. 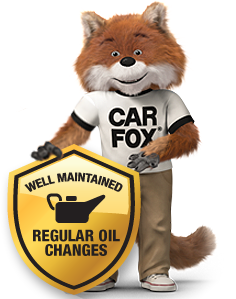 CARFAX identifies a "Well Maintained - Regular Oil Change" vehicle as having a regular oil change history when all its recommended oil changes, based on the vehicle's maintenance schedule, have been reported to CARFAX. CARFAX uses the manufacturer's schedule and assumes normal driving conditions. When an oil change schedule is not available, CARFAX may analyze reported service events to determine what is typical for the same make and model vehicle. Dealers and service shops may publish different recommended service schedules. When the first owner(s) obtains a title from a Department of Motor Vehicles as proof of ownership. CARFAX defines an owner as an individual or business that possesses and uses a vehicle. Not all title transactions represent changes in ownership. To provide estimated number of owners, CARFAX proprietary technology analyzes all the events in a vehicle history. Estimated ownership is available for vehicles manufactured after 1991 and titled solely in the US including Puerto Rico. Dealers sometimes opt to take ownership of a vehicle and are required to in the following states: Maine, Massachusetts, New Jersey, Ohio, Oklahoma, Pennsylvania and South Dakota. Please consider this as you review a vehicle's estimated ownership history. Vehicle was registered by a rental agency. © 2019 CARFAX, Inc., a unit of IHS Markit. All rights reserved. Covered by United States Patent Nos. 7,113,853; 7,778,841; 7,596,512, 8,600,823; 8,595,079; 8,606,648; 7,505,838. Please confirm remaining factory warranty and extended warranty options with your dealer! Information excerpted from the CARFAX Vehicle History Report and/or Safety & Reliability Ratings; see full reports for additional information, glossary of terms, source attributions,disclaimers & limitations. Go to carfax.com for complete Buyback Guarantee terms and conditions. This checklist utilizes information from your CARFAX report to help you make an informed used car purchase. Is the car still under manufacturer warranty or is a warranty available at the time of purchase? Turn on the ignition without starting the car. Do all the warning lights and gauges work? Ensure the airbag light appears momentarily and goes out upon starting the vehicle. Is the odometer consistent with the last reading of 13,395 on the CARFAX report summary above? Do the tires appear to be in good shape and without uneven wear? Test all internal controls. Do all lights, turn signals, windows and the heater and air conditioner work? Are the brakes and other safety equipment in good working order? Does the vehicle appear to have been well maintained? When should you schedule the next regular service?